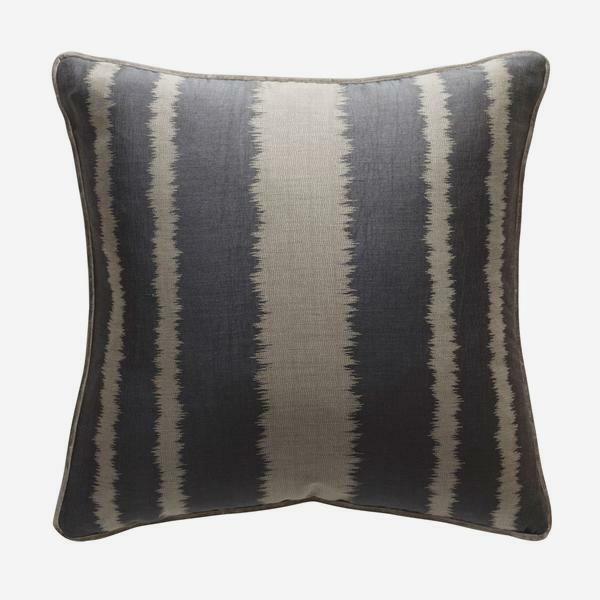 A gorgeous ikat design cushion, with relaxed irregular stripes in charcoal and beige and piping in smart, grey velvet. 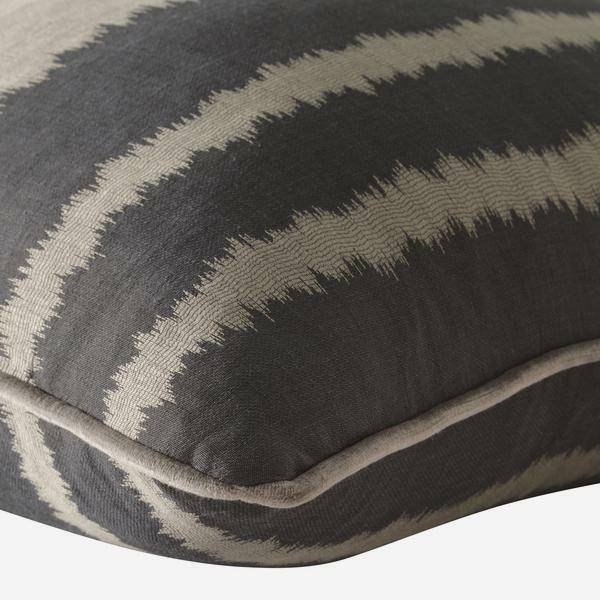 Handmade in the UK and filled with sustainably sourced duck feather and down. 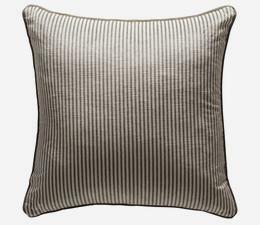 Pair with contemporary printed velvets, such as Barnsbury and Fitzroy cushions, for a sophisticated, contemporary look. Cushion pad included.